Weather is a factor that is essential when it comes to choosing home components for homes. If you live in Denver and you are currently in the process of choosing the best window solution for your home, the first step to purchasing Denver replacement windows is to decide what aspects are the most important for you and to assign a budget to the project. Window replacement is a long-term investment, so making the wrong decision can cost you a lot, so here are a few factors that you should bear in mind if you want to have windows that really work for you. The energy efficiency provided by the window frame is among the most important window selection criteria, especially for homes in an area that gets wild temperature variations, like Denver. The most efficient window type for Denver is casement windows – these types stand in hinges located on one side of the frame and they open and close like doors. The design of the frame makes this window style the most resistant to strong winds and it also offers an unobstructed view from the room. The material of the frame need to be chosen with aesthetic preferences as well as energy performance in mind. While the style is entirely a matter of personal preference, it is generally recommended to avoid frames made from conductive materials, such as aluminum, but vinyl, fiberglass and wood work fine in the harsh Denver climate. Out of the three recommended materials, wood is the most expensive and it is also the material that comes with the highest need for maintenance, while fiberglass and vinyl are more affordable, attractive and low-maintenance solutions. You will have to make decisions about the type of the glazing that will go into your window frame as well. 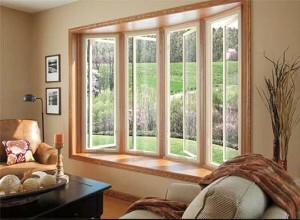 Single-glazing windows are not recommended and neither are uncoated double-pane windows. The choice that will ensure the comfort of your home by preventing heat exchange between your rooms and the exterior is coated double-glazing or triple-glazing. To get an even better control of heat transfer, you can choose to get a low-emissivity coating for you triple-pane windows as well – the coating material is invisible on the panes, but it can reduce energy loss by more than 30%. Aesthetic appeal is just as important as energy-efficiency – the windows you choose will determine the overall appearance of your home. In their base form, wood windows come in the natural color of the wood, while most synthetic window frames come in white, but if white is not suitable for your façade or for your interior space, you can choose colored varieties. The most common colors available for window frames include shades of brown, from lighter, golden oak hues to deep browns and grey, but most window manufacturers offer wide color palettes that allow their buyers to choose from tens of attractive stains. For homes in Denver, windows are essential for weather protection as well as for visual appeal – take your time to select the best solution and you will surely enjoy the beauty of your windows and the thermal comfort of your home for decades.